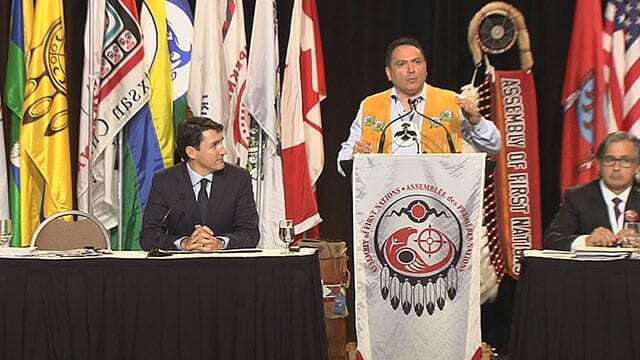 AFN National Chief Perry Bellegarde told Justin Trudeau on Friday “it is incomprehensible that, in 2019, we can allow the legacy of Residential Schools and the 60s Scoop to continue through nothing more than another colonial practice.” APTN/file photo. Assembly of First Nations (AFN) National Chief Perry Bellegarde has personally asked Prime Minister Justin Trudeau to table a bill that would give jurisdiction over child welfare to First Nations. In a letter dated Feb. 7, but sent to Trudeau on Friday, Bellegarde says Trudeau should consider his promised child welfare bill a “litmus test of your political will to finally break from generations of colonial policies. The letter follows recent public letters and comments from First Nation leaders in B.C., Saskatchewan and Ontario, who say the last draft bill they were privy to did not include the full transfer of jurisdiction over child welfare to First Nations. Federation of Sovereign Indigenous Nations (FSIN) Vice Chief David Pratt told APTN News Thursday that former Indigenous Services Minister Jane Philpott said giving First Nations jurisdiction was “doable”. 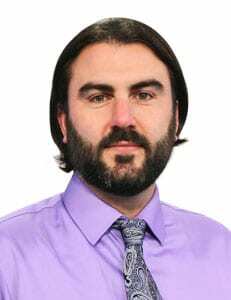 But Pratt said the Saskatchewan government told FSIN leadership that they weren’t willing to relinquish jurisdiction over Indigenous children in state care. 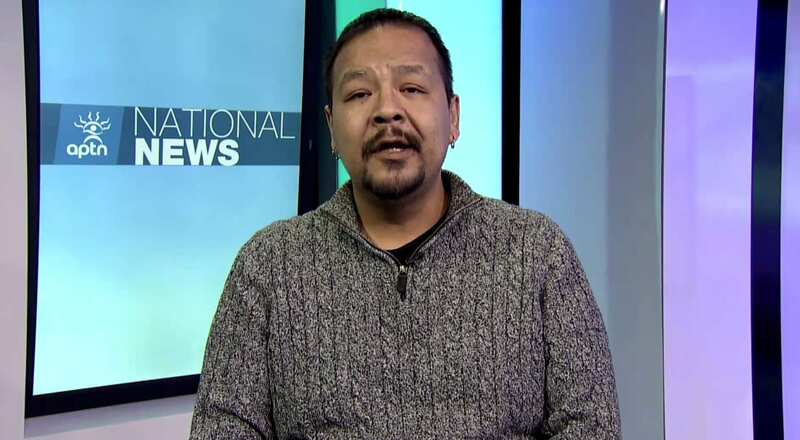 On Friday Assembly of First Nations Regional Chief for Manitoba Kevin Hart told APTN he believes the Manitoba government is also resisting the legislation. “Our children have been commodified and used as leverage by provincial governments” for economic purposes, he said. “The child tax benefits that are generated by kids in care are put into the general revenue of the province of Manitoba to basically stimulate the very economy here when it comes to child and family services,” he added, referring to the federal transfers to provincial governments. Cheryl Casimer of B.C.’s First Nation Summit told APTN this week the two “deal breakers” for most First Nations is the jurisdiction issue, and adequate funding for transition and implementation of child welfare. AFN Manitoba Regional Chief Kevin Hart says his province is among those resistant to handing jurisdiction over Indigenous children in state care to First Nations. APTN. Leaders say the matter is urgent, because Parliament doesn’t sit next week, and with each day that passes the chances of passing federal legislation before the fall election grows slimmer. “The criticisms of the draft Indigenous Family Unity Act are simple and straightforward and have been echoed by First Nations leadership from coast to coast to coast,” Bellegarde wrote in his letter to Trudeau. Indigenous Services Minister Seamus O’Regan has declined to comment on the substance of the legislation but has said his department is working to address the concerns raised by First Nation leaders. In December, Trudeau promised the Liberals would table the long-anticipated Indigenous languages and child welfare bills by the end of January. Only the language legislation has been introduced, but without the support of Inuit. Hart said the language legislation is meaningless if First Nations can’t regain jurisdiction over their children.